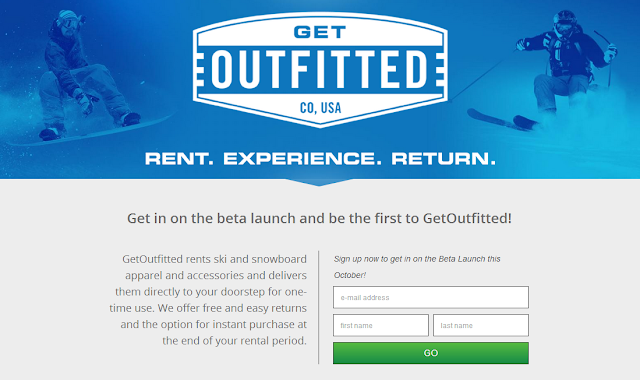 GetOutfitted rents ski and snowboard apparel and accessories then delivers them directly to your doorstep for one-time use. They offer free and easy returns with the option for instant purchase at the end of your rental period. Some of the brands available will be Patagonia, Mammut, Marmot, Smith Optics, Terramar, Columbia, Obermeyer, and Airblaster. Connect with GetOutfitted on Twitter, Facebook, Tumblr, Pinterest, and Instagram.